The River Cover is another tributary of the River Ure, joining the main river main river at Cover Bridge, between the villages of Middleham and East Witton. The River Cover offers challenging fly fishing for wild brown trout and grayling. The River Cover starts it journey at the head of Coverdale, on the slopes of Buckden Pike and Great Whernside. Another limestone river, it has good hatches of all the usual species of fly. I was fly fishing on the River Cover early May a few years ago and there were so many upwinged flies being blown downstream it looked as though it was raining! The River Cover runs quite clear most days making the fishing slightly challenging - a careful approach is essential. The wild brown trout and grayling don't give themselves up easily, but they do attain very good sizes for a small stream. My first ever River Cover grayling was an 18 inch specimen and I have had trout to a similar size - not bad for wild fish! River Cover trout are a delight to look at and they generally rise freely to dry flies. I have had good results fishing dry fly, upstream nymph and duo style. 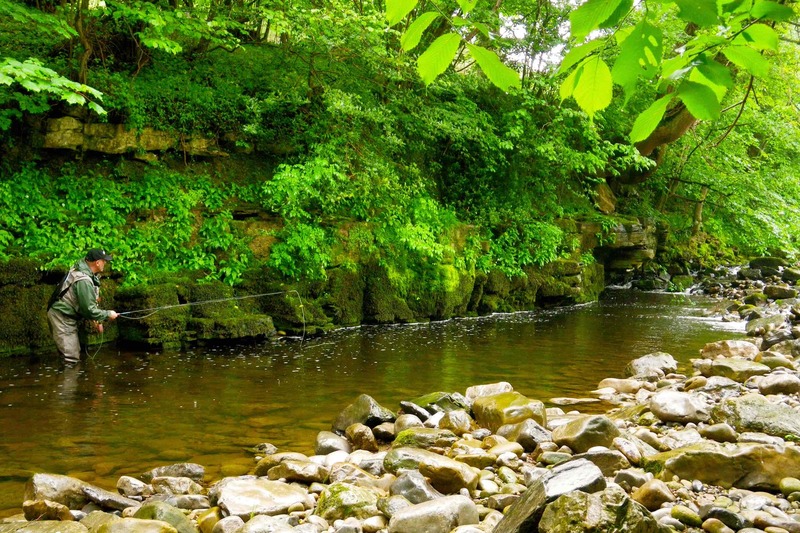 The River Cover is one of my favourite Yorkshire Dales rivers. It is rare to encounter another angler fishing there on the same day and I find it a great cure for the stresses of every day life. Add to this a traditional Yorkshire Dales pub (the Cover Bridge Inn) where your day starts and ends - what more could you ask for? Day tickets to fish the River Cover are available from the Coverbridge Inn.